Each mechanical pencil offers the write-out of 2.5 wood case pencils. Design includes a top advance. 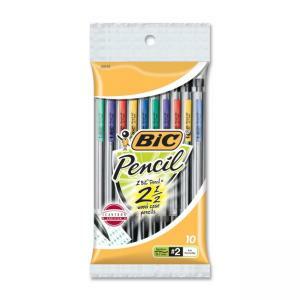 Each mechanical pencil includes three full-length, No. 2 leads.